Art of Board, a company known for its "I Ride I Recycle" movement, has partnered with CanvasPop, a provider of high-quality canvas printing services, to create a line of truly original and sustainable wallets. 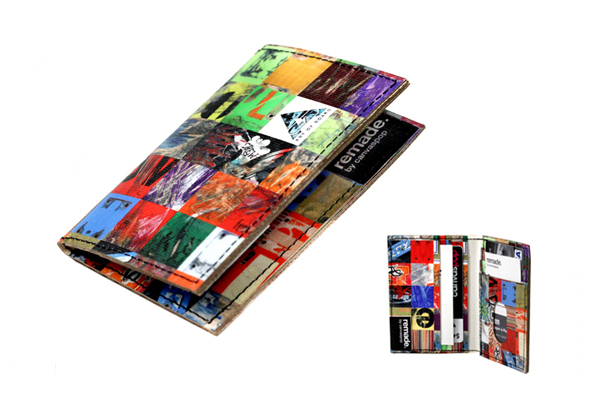 The wallets, which begin selling today, are made out of scraps of excess canvas that would normally be disposed of and are beautifully decorated with printed graphics from Art of Board's skateboard deck tile design. via TWSBiz. Read the whole story.